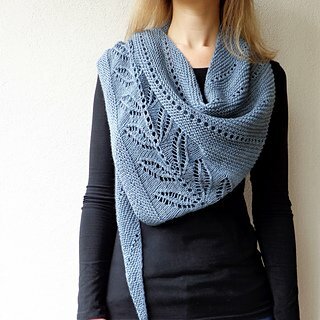 This lovely shawl is light and drapey and would be great for spring and summer! It uses sport weight yarn (500-650 yards) and a US 6 circular 24” needle. We have lots of options and colors to choose from. Use one color or accent the lace in another color. You will learn lace knitting and increases/decreases on both the right and wrong side. The pattern is fully written out! Pattern available on Ravelry. Bring your username and we can get it for you. Must have completed the Beginner Knitting Class. Yarn, needles and pattern are not included in the price of the class.